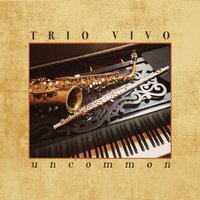 Trio Vivo's debut album! ​Lucy Banner (piano), Mariellen Sears (flute) and Bruce Abbott (saxophone) performing music by composers from the 1900's through the present day. Individual tracks $0.99 each. Full album $9.99.